JOANNA Cosmetics Laboratory is a dynamically developing Polish company, which has been specializing in production of high quality cosmetics from more than 30 years. 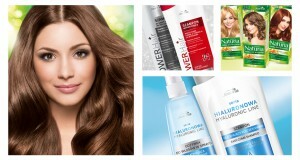 We operate in a constantly growing segments of hair and body cosmetics and professional products. We constantly improve our formulas and expand the range of new products in accordance with market trends. The company implements new standards of operations, modernizes our laboratory, production and storage facilities. All this makes us proud to be a modern company which successfully confronts the western competition and places us in the forefront of Polish cosmetics companies.